Over the past decade, superheroes have been enjoying a resurgence of popularity. As a result, the Marvel franchise is busy re-creating the narratives of some of the most beloved characters from the yesteryears, such as Thor, Iron Man, Spider-man, Hulk and Black Panther. Superhero tales are being consumed voraciously by ardent movie-goers who long to get lost in the stories. I believe that these movies have achieved gold status at the box office because it provides a vicarious experience for those who fantasize about being a hero with superpowers. I believe that it’s popularity is proof of people’s desire to feel special and to stand out. The desire to be extraordinary has a strong and direct impact on people’s actions, decisions, and how they feel about their worth and identity. Almost everyone aspires to be smarter, prettier and more accomplished than the rest of the crowd. Being average or ordinary is seen in a negative light, because it implies that someone is undistinguished, boring, and is a nobody. The truth is that our perception of being ordinary is based on a one-dimensional yardstick that solely measures the superficial criteria and disregards virtues such as compassion, kindness, dependability, and other honorable traits. But being ordinary didn’t always have such a bad rap. According to Brooks, there was a distinct culture of ‘moral realism’ from the biblical times until the mid-1940s, when people were aware of their limitations and were encouraged to practice self-circumscription. After the Second World War, there was a major shift where culture became centered on the self: self-expression, following one’s passion and being true to oneself. 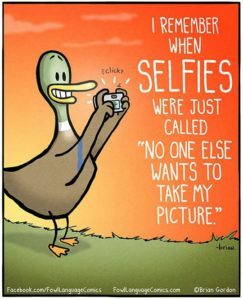 Today, we live in the ‘Age of the Selfie’, where garnering more “likes” and promoting ourselves on social media has become more important than expressing empathy and kindness. 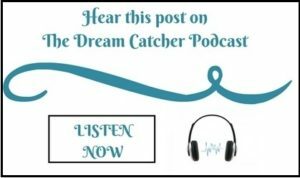 The Internet has leveled the playing field, making it easier for everyone to share and connect with each other. But if we’re not careful, we can over-do it and get addicted to self-promotion. An unhealthy need to attract more eyeballs can breed a sense of desperation. The media and advertisers deceive the masses with false messages which state that by consuming their products, you can become richer, prettier and popular. These manufactured illusions inflate our expectations and induce feelings of lack. And so, from a young age, we’re conditioned to believe that in order to thrive, we should be anything but ordinary. I admit that there were times in my life when I held the idea of being ordinary in contempt. Although I was never an overt attention-seeker and preferred to blend in, there was a hidden desire to feel special. I wanted to be complimented on my looks and my talents, so that I could feel important. As I matured, I gradually accepted my humble place in the larger scheme of things. Surprisingly, it was my studies in astronomy that induced the heaviest dose of humility. 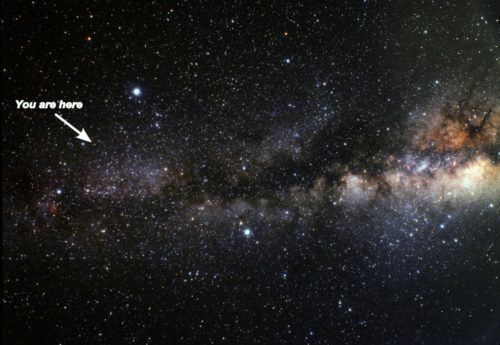 When you grasp the brevity of your existence and the inconceivable vastness of the Universe, you’ll know, unequivocally, that the world does not revolve around you. John Steiner, a contemporary psychoanalyst, says that we must learn to ‘relinquish our omnipotence’, which is another way of saying that we must acknowledge that we are mere mortals who should embrace our ordinary human life with all the limitations, unpredictabilities and disappointments that come with it. By relinquishing our pursuit to be extraordinary, we’ll be able to gracefully accept reality and give ourselves a better shot at experiencing fulfillment. Author, Caroline Myss, says that the road to spiritual maturity must begin with the process of ‘humbling up’ and accepting our ordinariness in the natural world. We need to respect that, just like other creatures on the planet, we are subject to the physical forces and cosmic laws that govern our eco-system. Resisting the natural order will only bring suffering. However, embracing our ordinary nature doesn’t mean that we should dim our light, play down our strengths and lower our standards. We must continue to dream big and work hard, but we should do it on a solid foundation of self-awareness, that’s based on reality. Our desires for worldly achievement should be backed by honorable intentions. Some of the most seemingly ordinary folks who don’t make it on the cover of magazines actually provide the greatest benefit to our society, such as firefighters, nurses, teachers, and even janitors who keep our streets clean. Most of them don’t demand attention for their contributions and are more interested in living modest and ethical lives in their communities. 1. Redefine what it means to be ordinary: Instinctively, we feel that the only way to beat out the competition is by not being ordinary. We can overcome these instinctual urges by consciously redefining what it means to be ordinary. Traditionally, ordinary is associated with words like normal, standard, typical, usual. We can give it a positive spin by replacing them with words like drama-free, peaceful and content. It is possible to follow the hero’s journey without having to make a big splash in world arena. 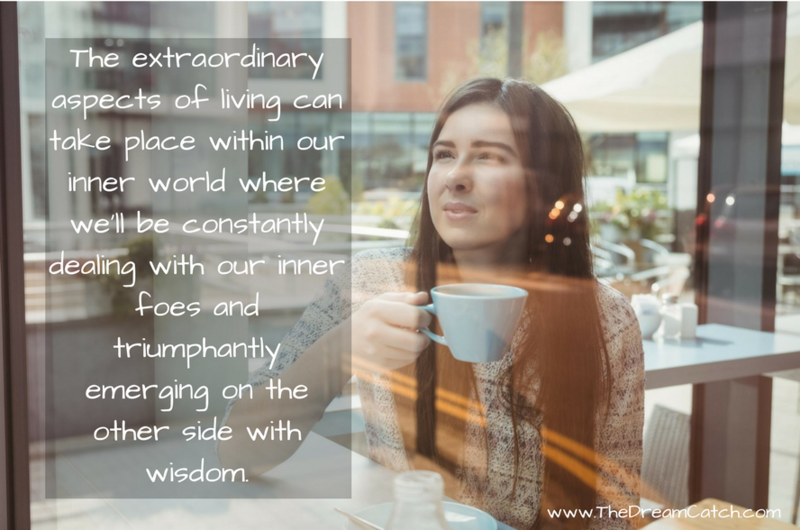 The extraordinary aspects of living can take place within our inner world, where we’ll be constantly dealing with our inner foes and triumphantly emerging on the other side with wisdom and gifts to share with the world. 2. Cultivate meaning and purpose: When you’ve figured out the why of your life’s journey, your path will seem a lot more meaningful. Every action step that you take, from caring for your loved ones to tackling job tasks, will be infused with purpose. You’ll realize that your life is actually bursting with meaning, only if you notice it and connect it to your values and your personal story. Get in touch with the subtle aspects of your soul essence that bring you a sense of meaning, by practicing activities that feel purposeful. 3. Embrace your community and contribute: The people who genuinely loves you and cares about you will tell you that, to them, you’re anything but ordinary. We’re a social species whose wellbeing is directly linked to the bonds that we share with others. Bonding with your community will not only make you feel good but open your heart space but it will make you want to contribute more. It will inspire you to spread love all around you and to engage in acts of kindness. It’s through the altruistic participation in the lives of the people around us that fulfillment can be found. 4. Get out into nature: Connect with the natural flow and rhythm of our habitat by spending some time in nature. Look up at the sky, stand on top of a mountain, dip your feet into a river stream or watch a sunset to establish a connection with Earth. Let it move you to take care of our precious planet and preserve it for future generations. It’s quite ironic that as you grow to accept your ordinariness, you’ll find it easier to express your extraordinariness. That’s because when you eradicate the blocks caused by your insecurities and fear, you’ll have clear access to tap into your potential. 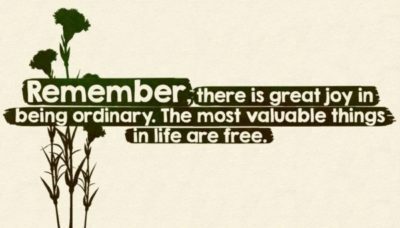 Question for you: What does being ordinary mean to you? Do you see it as being a positive or negative trait? Love this post! Totaly relate to how this feels and what this is like! Thanks for sharing with the rest of us and putting this out there for others to read and hopefully finally understand. You’re welcome Tina. Glad you resonated with this post! Nice. We are all extraordinarily ordinary in being human – in striving to be a little better, do a little better each day. I love your piece. Excellent suggestions.